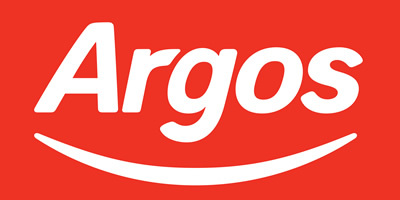 Argos baby monitors are a very affordable way to make it easier as all new parents go though the same emotions when it comes to putting your child to bed at night. You can either stake out the room to make sure all is good, or get your hands on a cheap baby monitor to do the hard work for you. A to make this work even easier you can now get a cheap baby monitor that can connect to your cart phone so it's always with you. A cheap baby monitor allows you to keep tabs on your baby while you aren’t in the room. The simplest and lowest price are audio only, but most monitors on the market transmit video images as well as sound. Some of the higher end models can even track your baby’s movements, heart rate, oxygen level, body temperature, or position. Baby monitors generally work by having a transmitter, which stays in the room with your baby, and a portable receiver, which is carried round by you, or the parent or carer of the baby. Some monitors work with smartphones, tablets, or desktop computers so you or the baby sitter, or both can watch their child from anywhere. Cheap baby monitors are particularly useful for infants who sleep in a room apart from parents and wake up at night for feeding or changing. They’re great for naps also. You can be getting on with other household jobs and still have your babies full attention when needed. To get the most from your baby monitor it is best placed 3 to 10 feet of your baby's crib so they'll pick up every sigh, gurgle, and wail. You can carry the receiver around the house or leave it plugged in by your bed when you go asleep at night. Video baby monitors are a little different, they need to be close enough to get a good image of your baby. Trial and error should help you determine the ideal distance. Some monitors use sensors that may go under a mattress or be placed on your baby’s body. When getting this model of baby monitor it's important to follow the manufacturers instructions to the letter. Making sure all cords are at least 3 feet away from the crib. As great a tool as they are, Argos baby monitors aren't without fault's. Concrete walls can be a bit of an obstacle for them, and cordless phones and wireless systems can interfere with reception. Also, your receiver might be able to pick up audio signals from your neighbours. Video monitors that don't encrypt their signals can also give other people a peek into your baby's room, so you want one with strong security features. Monitors that use Wi-Fi obviously won't work without a home internet connection.